Brief frost stance animation over the Frostbrood Whelpling's head when the player summons the Deathlord's Vilebrood Vanquisher mount. Freezes the target, dealing 394 Dragonkin damage. Can confirm that this pet is still available to Death Knights upon completing their class mount quest in BFA. Completed mine today after starting the broken shore 48 hours ago, some steps have been dropped by blizzard due to artifact changes, however the questlines and achievements required still remain in place. Since BFA came out, are these DK pets still obtainable without being able to complete the Legion artifact pre-requisites? This pet is actually sold by a goul named Slimy. He is on the main floor next to Amal'thazad (to his left as you are facing him). He is east along the ring from the portal that takes you to upper floor. Note: Until you have all of the pre-requisites, you will not see anything on the vendor. Just picked this up today. Working on maxing out my two other Artifacts now. Just got this cute lil' baby today after my mount quest was done. When mounting up on the Vilebrood (regardless of your spec) this whelpling will "turn on" Frost Pressence, while it's out. I'm gussing Bloodbrood Whelpling will be Blood Pressence and Vilebrood Whelpling will be Unholy Pressence. Will we be able to get all 3 on one death knight? 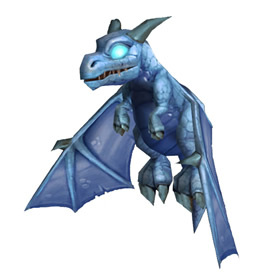 Among the Death Knight's forces, the frost wyrm is the most formidable. This whelpling is no different.